These curved sections which can be simply attached to the BIG Waterplay waterway sets will guarantee even more playtime fun on the water. 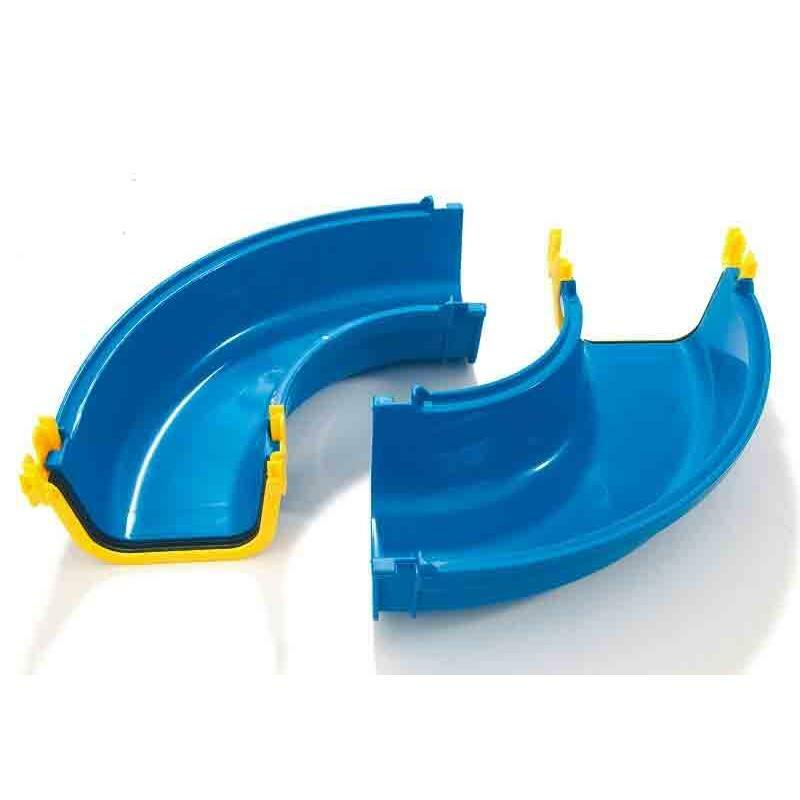 The perfectly designed seals allow the extension components to be quickly and easily attached without requiring adhesive and make the channels completely watertight. Due to the shape of these elements, several extension elements may be required to create a suitable BIG Waterplay extension. Please refer here to the extension instructions given on the packaging of the BIG Waterplay waterway sets.